He’s chomping into the battle! With last night’s release of Super Smash Bros. Ultimate v.2.0.0, Nintendo decided to finally release Piranha Plant for Super Smash Bros. Ultimate. The first character from the Super Smash Bros. Ultimate DLC pack is finally out, with more to come at a later date. 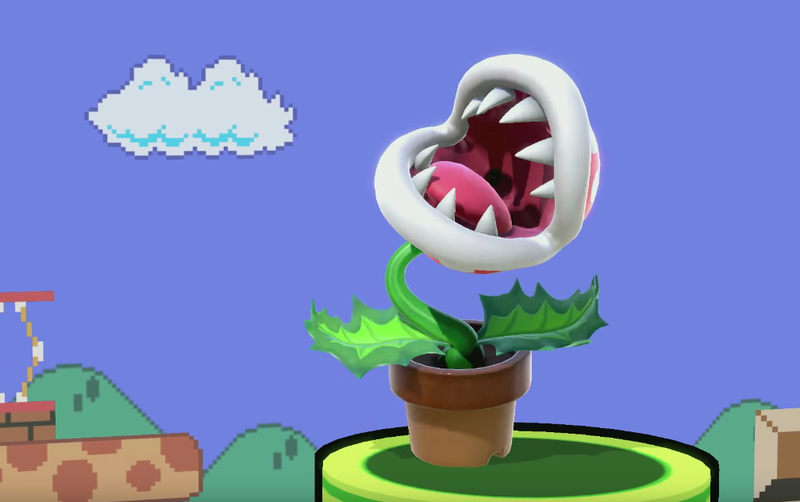 If you bought Smash Ultimate digitally or redeem it for Gold coins via My Nintendo using a cartridge, be sure to check your inbox for a digital code for Piranha Plant for free. You have until 1/31/2019 to follow the steps to get P.P. for free, otherwise, you’ll have to buy him separate or through the fighter pass.